Irish superstar Douvan is expected to make a return to action next month in the Grade One Tingle Creek Chase at Sandown in what will be the seven-year-old’s first outing since he picked up a leg injury in the Queen Mother Champion Chase at Cheltenham back in March. Douvan is now a top price of +200 in the Tingle Creek betting, which you can see on Timeform's odds comparison page for the 2m contest. Altior was recently withdrawn from the race; therefore, we won’t get to see the two leading chasers in this division collide for the first time at Sandown. 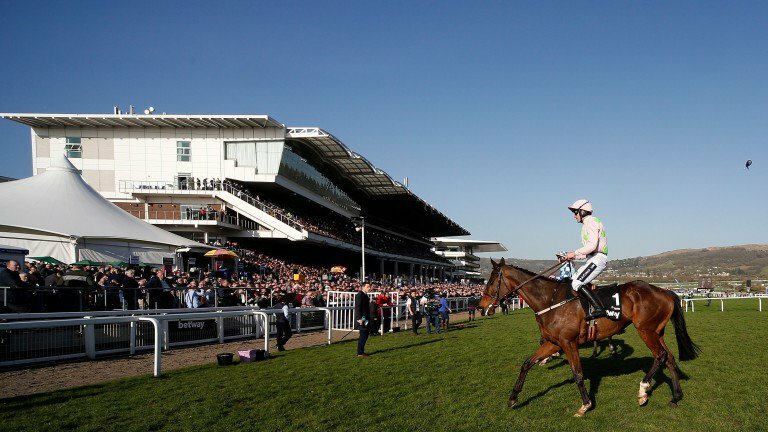 If Douvan does pass his latest test in the Tingle Creek, connections have a big decision to make on his future. There have been some rumours circulating that Willie Mullins and his team are considering running in the King George VI Chase at Kempton on Boxing Day, which would be his first taste at 3m. The seven-year-old has entries in the Champion Chase and Cheltenham Gold Cup in 2018; therefore, his options are wide open for the Festival. The Tingle Creek is one of the few Grade One races over 2m that Douvan has yet to win. Mullins scored in the race last year with Un De Sceaux who could join his stablemate in a bid to become the first horse to prevail in back-to-back years since Kauto Star in 2006. With Altior set to be off the track for at least a couple of months, the opportunity is there for Politologue to step up to open company in the Tingle Creek, where connections will be hoping he can shine after a decent novice campaign last year. The grey horse has emerged as one of the leading horses from former Champion Trainer Paul Nicholls’ yard. He hardly put a foot wrong in his victory in the Grade Two Haldon Gold Cup earlier this month where he scored by just over two lengths. Politologue now has an official rating of 161; therefore, on the numbers, he does have something to find with the duo of horses ahead of him in the betting for the Tingle Creek. At the age of six though, he is likely to continue to improve, which makes him a leading player in the 2m chase division this season. Nicholls’ runner ran in the JLT Novices’ Chase at the Cheltenham Festival last season where he struggled inside the final couple of furlongs in the race. It was ultimately won by Yorkhill for Mullins. A drop down to 2m looks to be a smart decision by his connections. Fox Norton goes into this year’s Tingle Creek Chase where he is chasing a consecutive Grade One hat-trick as he finished last season with victories in the Melling Chase and Champion Chase at the Punchestown Festival in Ireland. Colin Tizzard’s runner was second behind Special Tiara in the Champion Chase at the Cheltenham Festival back in March so his form has been as good as any horse in this division in the UK or Ireland over the last 12 months. The Tingle Creek takes place on December 9 and the winner will almost certainly be cut in the betting for the 2018 Champion Chase.